FIFA warn Nigeria of ban if sacked NFF not reinstated. Nigeria have been ordered by FIFA to reinstate the executive committee of the Nigeria Football Federation (NFF) not later than Tuesday or face a ban. On Thursday, a Nigerian court sacked the NFF and the government appointed a sole administrator for the country’s football. In a letter signed by FIFA secretary general Jerome Valcke, dated July 4 and addressed to NFF president Aminu Maigari, FIFA made it clear that the country stood to be banned from international football if the executive board of the NFF were not fully reinstated. It also said FIFA would not recognize the appointment by government of a sole administrator. They also maintained that the NFF must independently resolve their issues without influence from third parties. “If the aforementioned NFF officials are not fully reinstated by Tuesday, July 8, 2014, we will have no choice but to refer the case to the appropriate FIFA organs for sanctions, including the suspension of the NFF,” the letter read. “We would like to underline the dire effects a suspension have on Nigerian football. It would for instance mean that no team from Nigeria of any sort (including clubs) could have any international sporting contacts (art 14 par. 3 of FIFA statutes). 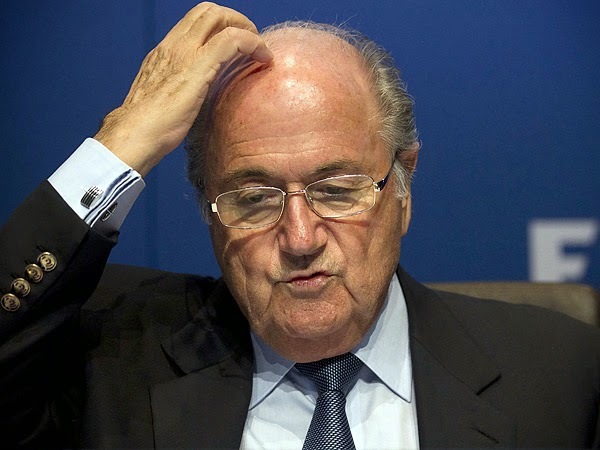 FIFA also stated that an extraordinary congress reportedly fixed for Abuja on Saturday is null and void. They said an elective congress has been fixed for August 26 and only the results from this congress would be accepted. The letter, which was copied to the Confederation of African Football (CAF), said FIFA are aware Maigari had been arrested and detained by the state security service and other NFF officials were being hunted. « SEE How This Big Girl Exposed Her Body Cheaply.